On March 17th, I spent 7th period with a regents level Living Environment class. I had asked them to read an NPR article about the Disneyland measles outbreak the night before. I presented a few slides with background information about measles, focusing on viral replication and mechanism, since they were learning about those topics in their class at the time. After the background, we discussed the anti-vaccination movement. 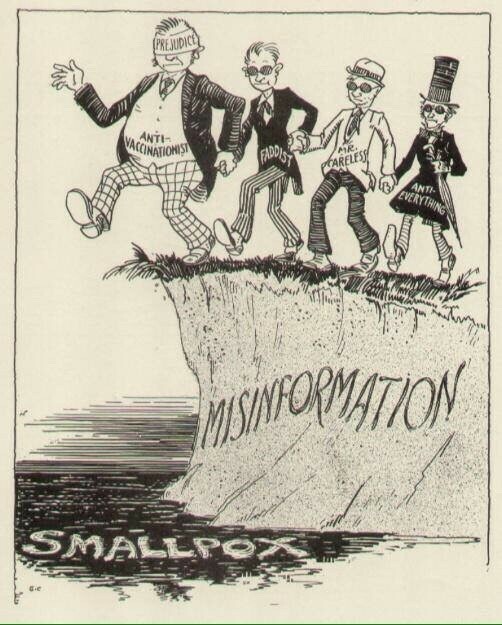 I showed them a political cartoon from 1930 depicting resistance to smallpox vaccination.